The Professional Regulation Commission (PRC) officially released today, May 23 the full list of passers for March 2015 Licensure Examination for Teachers (LET) or Teachers board exam. Herminigilda Cabrera Notario, graduate of North Valley College Foundation, Inc. topped the Secondary level exams with 91.40 percent average grade. 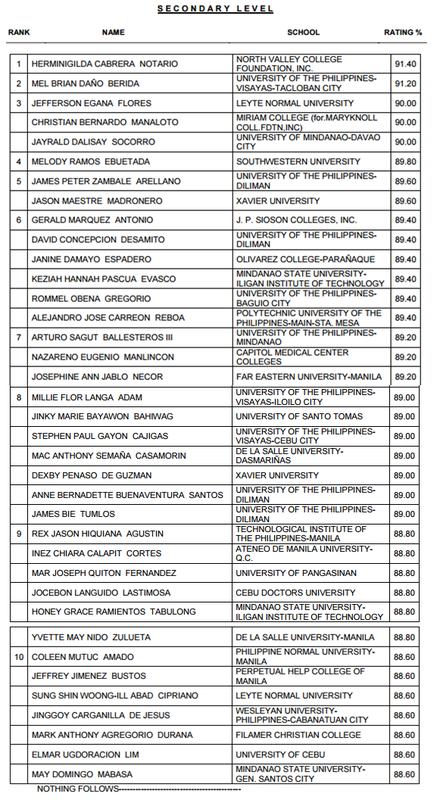 University of the Philippines - Visayas (UPV) graduate Mel Brian Dano Berida ranked second with 91.20 average grade.